Here’s what’s happening in the world of television for Monday, May 21. All times are Eastern. 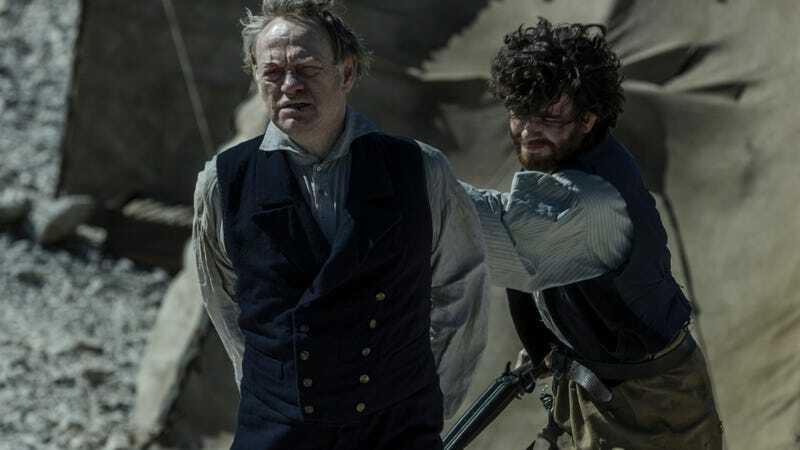 The Terror (AMC, 9 p.m.): The spring thaw brings with it the end of The Terror, a consistently great horror-survival drama that The A.V. Club’s Sean T. Collins called “white-knuckle watchable” in its first season. The dark revelations and unfortunate endings of the penultimate episode gave us a lot to chew on, but now Crozier and Hickey are poised for “A Battle For Power” in the finale. You can tear into Sean’s review after the broadcast. The Final Year (HBO, 8 p.m.): More than just a look back at a time before our democratic government was turned into a dog-and-пони show, Greg Barker’s The Final Year revisits “the Obama years’ foreign-policy effectiveness.” The 90-minute film focuses in part on the historic Joint Comprehensive Plan Of Action reached between Iran and the P5+1, which Trump’s already dragged the U.S. out of in an effort to undo all the Obama-era accomplishments, and oh damn, we’re feeling maudlin again.